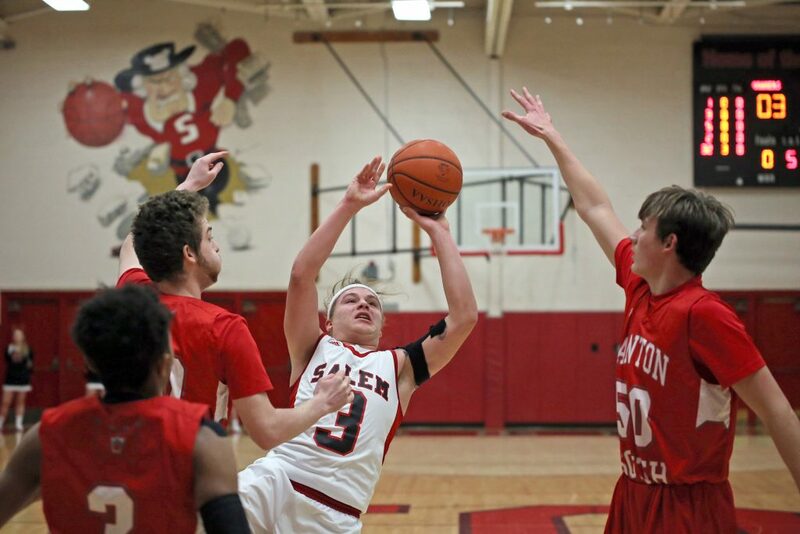 SALEM — The second half of the Eastern Buckeye Conference season didn’t go exactly how the Salem Quakers boys basketball team had envisioned on Friday. The Wildcats from Canton South led from tip-off to the final buzzer in knocking off the Quakers 61-47. With the loss, the Quakers drop to 3-8 on the season, 3-4 in the EBC. The Wildcats improve to 4-8 overall, and now tie the Quakers with an identical 3-4 record in the EBC. The loss is a particularly disappointing start to the second half of the season for the Quakers as they had hoped to move up in the very crowded EBC standings. The Quakers are right in the thick of the league race with no clear cut front-runner. 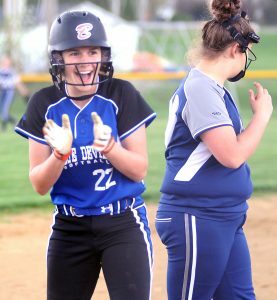 Adding insult to injury, the Quakers were focused on revenging a 50-31 loss back in December on the Wildcats home court. The Wildcats forced the Quakers into committing over 30 turnovers in that contest. The Wildcats grabbed an early lead in building an 11-6 advantage at the end of the first quarter. They slowly pulled away from the Quakers in the second frame as they built a 10-point lead at 28-18 with 42-seconds remaining in the first half. A late basket by Turner Johnson closed the margin to 28-20 at the intermission. The key to the game was on full display to start the second half when the Quakers caused two quick Wildcat turnovers to start the half, but they failed to convert either miscue into points. Conversely, the Wildcats seemed to take advantage of every Quaker turnover and get a basket off of the mistakes. The Wildcats stretched their lead out to 11 points at 33-22 at the 3:52 mark of the third quarter following a putback basket by Luke Hattery. But the Quakers went into the final period with the momentum with Josh Young throwing up a long-range three-pointer at the buzzer to close the margin to 7 points at 39-32. The Quakers got the home crowd really excited as they closed to within 6 points at 46-40 following a bucket by Josh Turner at the mid-point of the fourth quarter. However, that was as close as they got as the Wildcats went on a 9-2 run to make it 55-42 just two minutes later. The Wildcats closed the game connecting on 4 of 7 free throws to seal the game. The Quakers will return to action on Tuesday when they travel to take on the Alliance Aviators in EBC play. The Wildcats do not play until next Friday when they play at Marlington. CANTON SOUTH SCORING: Chris Fontes 2-5-9, Sean Blackmon 12-9-33 , Riley James 0-0-0, Jalen Merriweather 0-0-0, Luke Hattery 4-0-8, Tyler Karovic 1-0-2, Justin Ickes 2-0-6, Myles Martin 1-0-3. TEAM TOTALS: 22, 14-21: 61.